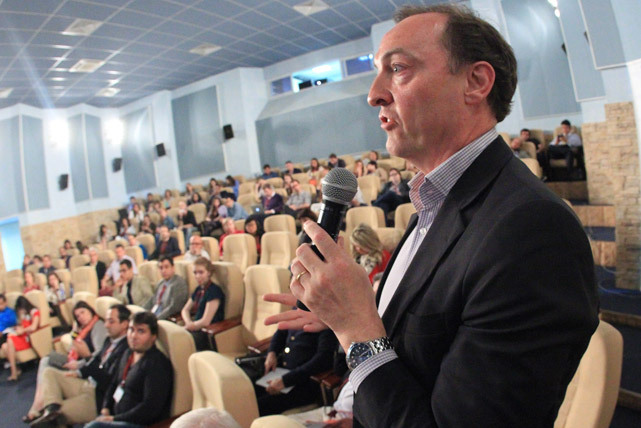 Late June 2014 saw the fifth conference of partners of Rossiyskaya Gazeta’s Directorate of International Projects, which oversees Russia Beyond the Headlines. It was attended by representatives of 26 major newspapers from 22 countries worldwide. In the company of the world's largest print media, a welcome cocktail was also enjoyed by members of the Presidential Administration, the Russian Ministry of Foreign Affairs, the State Duma, the Moscow Government, the Federal Press Agency, foreign embassies, big business, and other media. The RBTH conference also hosted themed lectures and seminars, including: “Shaping the Readership: Expanding the Publication's Cross-Platform Audience”, “Developing Non-Media Cooperation to the Benefit of All”, “Special Projects and New Sources of Profit,” and “Organizing and Promoting Successful Events”. One of the plenary sessions of the RBTH conference was addressed by Jackie Ventom, a partner of The Byrne Partnership, which provides consulting and research services for the RBTH project. “The conference is a great opportunity for everyone to get together to discuss proposals for developing cooperation and to pool experience,” she said.